New studies are showing that over the counter medications, such as Ibuprofen, link to the deaths of more than 16,000 people. In addition, it accounts for over 100,000 hospitalisations in the Western World alone. The use of NSAIDs (non-steroidal anti-inflammatories) is well-documented as resulting in various deaths from heart disease, stroke, kidney and liver failure, along with gastrointestinal illness and bleeding ulcers. Omega-3 fatty acids are derived from fish products such as anchovies, salmon and tuna. They prove to be able to ease pain when taken on a daily basis. Additionally, consuming fish oil is also proven to replace or reduce NSAID consumption. 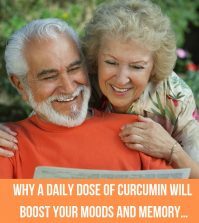 Curcumin is a powerful antioxidant that is helpful in alleviating inflammation triggered by various lifestyle factors. The result is that the body can experience significant relief against any painful symptoms that may occur. Curcumin can also support a healthy digestive system, liver, eye, gallbladder and various anti-inflammatory processes too. 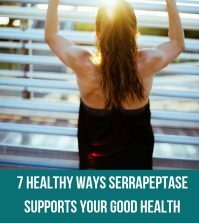 Serrapeptase is a proteolytic enzyme that dissolves inflammation. Thus, it makes it easier to be eliminated from the body. 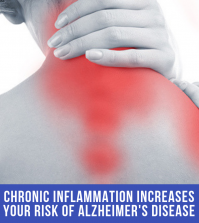 Inflammation is the main cause of painful symptoms occurring in a wide variety of health conditions. 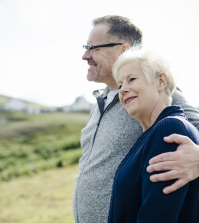 Removing the inflammation with serrapeptase can make it easier to find relief in the long term. Silicium is a beneficial nutrient that can help to stimulate the synthesis of collagen and elastin within the body. It can improve flexibility and help to support healthy joints and skin. It supports the production of synovial fluid and decrease inflammatory cytokine levels, while increasing T-suppressor cells. This way, it can help with pain relief. Acupuncture can help provide relief for chronic pain. It does this by stimulating the nerves located in the muscles and tissues. This results in a release of endorphins. Therefore, it can reduce sensitivity to pain and stress, as well as promote relaxation. It does this while deactivating the ‘analytical’ brain that’s responsible for anxiety. Taking the above nutrients can help to promote pain relief. In addition, Magnesium is also helpful as it can enhance cell membrane permeability. It also helps ease inflammation and pain. Find out more about relieving pain with the Pain Relief Health Plan. 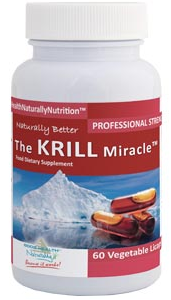 The Krill Miracle™ or the vegetarian version known as Hemp Seed Oil available from Good Health Naturally. It contains Omega-3 fatty acids formulated to promote wellness and longevity. 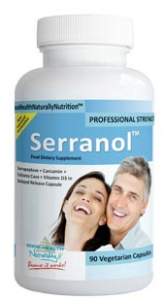 Serranol™ available from Good Health Naturally contains a combination formula of Serrapeptase and Curcumin along with Vitamin D3 and Ecklonia Cava Extract. It is a powerhouse of nutrients for helping fight a wide range of painful symptoms, ailments and conditions. Silicium G5 Gel – 150ml is specially for the support of the resilience and elasticity of the skin. Sicilium G5 can help to stimulate the synthesis of collagen and elastin within the skin. It has a high amount of anti-inflammatory and joint-related proteoglycans, which are a much more absorbable form of collagen. Sicilium G5 also supports the production of synovial fluid. It also decreases inflammatory cytokine levels and increases T-suppressor cells. Thus, it can be powerful as a form of pain relief. The HealthPoint™ electro-acupressure device from Good Health Naturally can enable you to stimulate the acupuncture points effectively and without the use of needles. 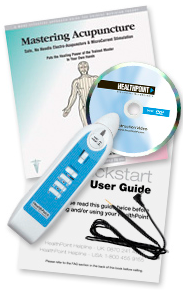 The HealthPoint™ device can help with over 160 health conditions to provide safe and effective pain relief for a wide variety of health conditions. The Ancient Minerals Magnesium Oil Ultra Spray with OptiMSM from Good Health Naturally has MSM, which increases the body’s uptake of magnesium supplementation. Therefore, it makes it easier to achieve pain relief than ever before. Nuevos estudios muestran que los medicamentos de venta libre, como el ibuprofeno, se relacionan con la muerte de más de 16,000 personas. Además, cuenta con más de 100,000 hospitalizaciones solo en el mundo occidental. El uso de AINE (antiinflamatorios no esteroideos) está bien documentado como resultado de varias muertes por enfermedad cardíaca, accidente cerebrovascular, insuficiencia renal y hepática, junto con enfermedad gastrointestinal y úlceras sangrantes.